Ambulatory electrocardiographic (ECG) monitoring is used to help doctors diagnose intermittent cardiac arrhythmias that occur only infrequently and unpredictably. Such arrhythmias often produce sudden symptoms, but typically are no longer present by the time a person gets to a doctor. For this reason, many symptom-producing cardiac arrhythmias are difficult or impossible to diagnose with a standard electrocardiogram. Ambulatory ECG monitoring can be employed to record your heart rhythm for much longer periods of time—days, weeks, or even years—to greatly increase the odds of capturing and recording this kind of brief, intermittent, but potentially significant arrhythmia. There are several types of ambulatory ECG monitoring systems available today to suit different clinical situations. Your doctor can work with you to determine whether ambulatory monitoring is a good idea for you, and if so, which type of monitoring is most likely to yield the quickest results. A standard ECG records the electrical activity of your heart for only twelve seconds. This ECG can reveal a lot of information about your heart. For instance, it can tell your doctor whether you may have had a heart attack, whether your heart is suffering from ischemia (lack of sufficient blood flow), whether the walls of your heart are hypertrophic (too thick), or whether you may have other kinds of structural heart disease. When it comes to cardiac arrhythmias, however, the standard ECG is often not sufficient to make a diagnosis. This is because heart rhythm disturbances often occur only infrequently, and may last only for very brief periods of time. A standard ECG, or even several ECGs taken at different times, are likely to miss these fleeting arrhythmias. Similarly, the symptoms that are produced by cardiac arrhythmias may also last only for a few seconds. By the time a person having such symptoms is able to get medical help, both the symptoms and the arrhythmias are very often long gone, leaving everyone wondering what the heck happened. Ambulatory ECG monitoring systems can record your heart rhythm for prolonged periods of time. This increases the odds of capturing and recording an intermittent, brief arrhythmia. These systems can allow your doctor to assess your heart rhythm as you live your normal life—such as during exercise, psychological stress, and sleep. Transient arrhythmias are often much more likely to show themselves during times like these than they are when you are lying quietly on an exam table. Ambulatory heart monitoring can be accomplished today using a variety of available tools and has become an important method for diagnosing and for ruling out significant cardiac arrhythmias. Ambulatory ECG monitoring is used most often when a person is having symptoms that could be explained by a transient heart rhythm disturbance. When an arrhythmia is producing syncope, near syncope, or lightheadedness, your doctor will likely be concerned that you may be dealing with a potentially dangerous arrhythmia. Palpitations, while much less alarming to doctors, can still be a significant problem for the person who is experiencing them. So when any of these symptoms are present, making a correct diagnosis is important. Often, ambulatory monitoring is the most expeditious approach to a diagnosis. To assess how effective an ablation procedure has been for treating atrial fibrillation or other arrhythmias. To screen for potentially dangerous arrhythmias in people with conditions known to produce such arrhythmias, such as long QT syndrome, Brugada syndrome, arrhythmogenic right ventricular cardiomyopathy, or hypertrophic cardiomyopathy. To look for episodes of asymptomatic atrial fibrillation in people who have suffered a stroke of unknown cause (a cryptogenic stroke). To look for signs of asymptomatic heart ischemia (that is, for signs that the heart is intermittently being starved for oxygen) in people with known coronary artery disease. Several different types of ambulatory ECG monitoring have been developed over the years, to suit different clinical situations. These include Holter monitors, event monitors, patch monitors, and implantable monitors. In addition, consumer devices are now available that can perform some of the functions of ambulatory ECG monitors. A Holter monitor (named after its inventor, a biophysicist), consists of several “leads” (wires) attached to the skin and plugged into a small, battery-operated recording device that is worn around the neck. The Holter monitor is worn continuously for a fixed, relatively short, period of time (usually for 24 or 48 hours), and records each and every heartbeat during that time. The recorder is then analyzed to look for any cardiac arrhythmias that may have occurred during the recording period. The Holter recorder also has a button that you are encouraged to press if you experience symptoms so that your heart rhythm can be evaluated for the specific times associated with symptoms. You will also be encouraged to keep a diary that carefully notes the nature of any symptoms you experience while wearing the monitor, and the time at which they occurred. You need to return the Holter recorder before any arrhythmia analysis is done, so there is no real-time arrhythmia detection with these devices. Once the Holter recorder is returned, an operator plays back the recordings using a special system that produces a sophisticated analysis of every heartbeat that occurred during the wearing period. In addition to detecting any cardiac arrhythmias that may have occurred, and correlating them with any reported symptoms, the Holter monitor report will also show the maximum, minimum, and average heart rate, the total number of premature atrial complexes (PACs) and premature ventricular complexes (PVCs), and any episodes of possible ischemia. Holter monitors give the most detailed information of all the ambulatory ECG monitors—but they can do so only for limited periods of time. So, Holter monitoring is most often used for people who report frequent unexplained symptoms. That is, their symptoms are very likely to occur during any given 24 - 48 hour period. Holter monitors are also often used to assess the effectiveness of ablation therapy, to assess the prognosis or people with underlying heart disease, or to look for signs of occult cardiac ischemia. 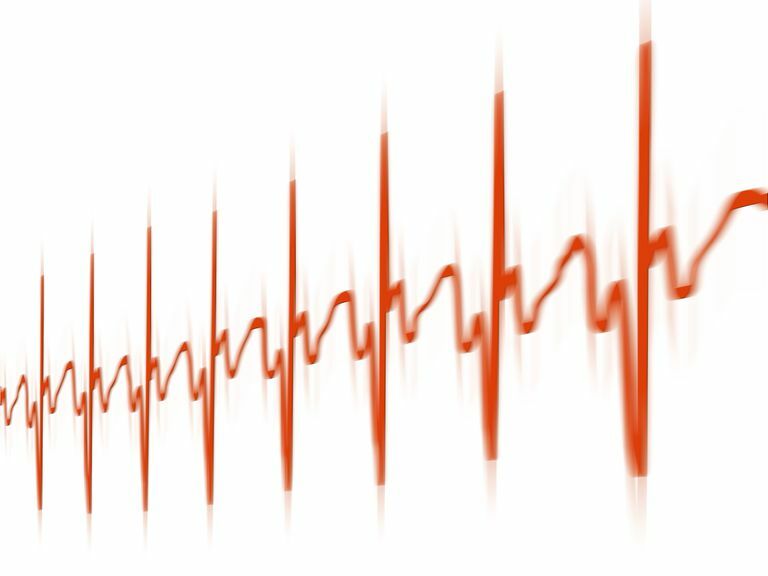 Event monitors are a family of devices that (generally) do not attempt to record every heartbeat over a prolonged period of time, but rather, attempt to capture specific episodes of a cardiac arrhythmia. The chief advantage of an event monitor over a Holter monitor is that they can be employed for several weeks, or even several months if necessary. Essentially, they can be used to capture an ECG at the time intermittent symptoms occur, even if those symptoms are quite infrequent. The earliest event recorders were lightweight devices that a person could carry with them day and night until an episode of symptoms occurred. Some devices were worn continuously, and others were applied to the skin when symptoms were experienced. In either case, however, the patient would have to press a button (or take some other action) to initiate a recording. After one or more recordings were made of a symptomatic event, the recorder would be returned for analysis. More modern event recorders are worn continuously and have the ability to automatically detect cardiac arrhythmias and generate a recording without the patient having to take any action. You are still able to generate a recording yourself, any time you experience symptoms. And, very importantly, it is still critical for you to record the time and nature of any symptoms you experience. Many event monitors today will transmit recordings of each arrhythmia event wirelessly to a base station, where trained technicians can analyze the ECG tracing, and (if necessary) notify your physician of the results. The report that your doctor receives after an arrhythmia event is transmitted consists of the ECG tracing itself, an interpretation of the ECG by a technician, and a report of any symptoms you reported as being associated with the event. Your doctor can use this information to advise you regarding further actions that should be taken. Notably, event monitors are not designed to trigger an emergency response for a life-threatening arrhythmia, because there is always a lag of at least several minutes, and often an hour or more, before any particular arrhythmia event can be transmitted, placed into a queue, analyzed and reported. However, modern event monitors do often allow the diagnosis of an arrhythmia to be made relatively quickly, once an arrhythmia event finally occurs. Patch monitors are small, adhesive patches in which all the electronics of a modern event monitor are self-contained. They perform virtually all the functions of a modern event monitor. Their chief advantage is that they are unobtrusive and are easy to wear for a week or longer, even during sleep or while taking a shower or exercising. A patch monitor stores all a person’s heart beats during that time, and employs arrhythmia detectors that can transmit an ECG wirelessly if a cardiac arrhythmia occurs. The two most commonly used patch monitors are the Zio patch (iRhythm) and the SEEQ patch ( Medtronic). Implantable monitors (often referred to as implantable loop recorders) are ECG recording devices that are “injected” under the skin (with local anesthesia), and that remain functional for up to a few years. They record the heart rhythm either when an arrhythmia event is detected by the device, or a recording is triggered by the patient. The latest versions of implantable monitors allow virtually continuous monitoring of the heart rhythm. The ECG recordings stored on the implanted device are downloaded periodically using a telemetry device and transmitted wirelessly to an interpretation center. Obviously, implantable ECG monitoring devices are reserved for people who have extremely infrequent symptoms that are strongly suspected to be due to potentially dangerous cardiac arrhythmias. They have mainly been helpful in the diagnosis of syncope of unknown origin. The Reveal LINQ (Medtronic) and the Confirm Rx (St Jude) are FDA approved implantable heart rhythm monitors. There is at least one consumer device that functions as an event monitor. The KardiaMobile device (which retails for $99) works in conjunction with your smartphone to record and transmit an ECG signal that can be quite useful in detecting symptomatic cardiac arrhythmias. If you experience symptoms, you can quickly record an ECG and receive a preliminary interpretation, and you can email the resulting ECG recording to your doctor for further analysis. This device is cleared by the FDA as a clinical-grade ECG monitor and is being used most often as a way to for people detect recurrent atrial fibrillation. The main reason for using ambulatory ECG monitoring is to see whether a person’s unexplained symptoms are due to a cardiac arrhythmia—or not. When interpreting the results of this kind of monitoring, it is critical to keep in mind two things. First, many cardiac arrhythmias are actually benign and may not produce any symptoms at all. Second, all the symptoms commonly associated with cardiac arrhythmias may be due to non-arrhythmia causes. Given these facts, making a proper diagnosis with ambulatory ECG monitoring requires that the symptoms must occur simultaneously with a cardiac arrhythmia. If so, it is reasonable to pursue the treatment of the arrhythmia as a means of relieving symptoms. If symptoms occur and there is no simultaneous cardiac arrhythmia, then the correct interpretation is that the symptoms are not being caused by an arrhythmia. In this case, treating any incidental cardiac arrhythmias that may be seen during the testing is not necessary (unless the arrhythmia has independent clinical significance, regardless of whether it is producing symptoms), and is very likely to be counterproductive. Ambulatory ECG monitoring can be very useful in diagnosing or ruling out a cardiac arrhythmia as a cause of intermittent, fleeting symptoms. The technology being used for ambulatory monitoring has progressed significantly in recent years, and is often very helpful even in people whose symptoms are fleeting and quite rare. Barrett PM, Komatireddy R, Haaser S, et al. Comparison Of 24-Hour Holter Monitoring With 14-Day Novel Adhesive Patch Electrocardiographic Monitoring. Am J Med 2014; 127:95.e11. Edvardsson N, Frykman V, van Mechelen R, et al. Use Of An Implantable Loop Recorder To Increase The Diagnostic Yield In Unexplained Syncope: Results From the PICTURE Registry. Europace 2011; 13:262.